Microsoft is offering free E-book Windows Vista Resource Kit to celebrate their 25th Anniversary. This e-book helps you to take your skills and knowledge to the next level. 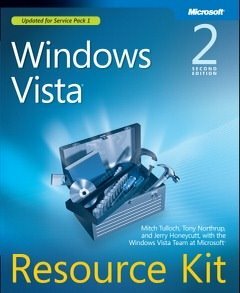 Windows Vista Resource Kit, Second Edition is written by Mitch Tulloch, Tony Northrup, and Jerry Honeycutt with the Windows Vista Team. In-depth, comprehensive, and fully updated for Service Pack 1, this Resource Kit delivers the information you need to administer Windows Vista. To download this e-book, you need to sign up and register with Microsoft Learning.